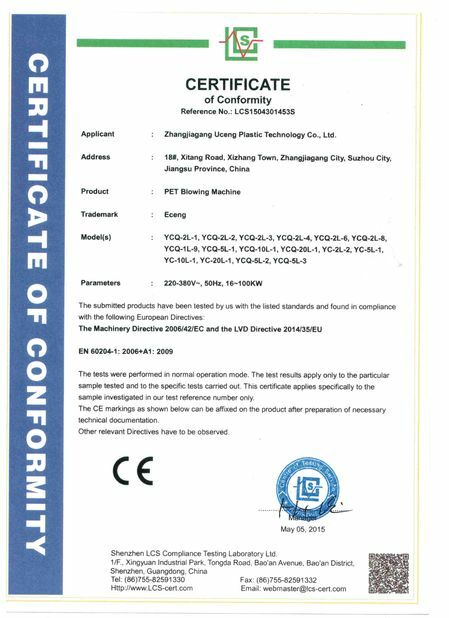 YCQ Full-automatic PET bottle blow molding machine is the most stable two-step automatic stretch blow moulding machine.PET bottle blowing machine has two cavities to six cavities and the maximum volume of the products is 2000ml. the speed is 1250 bottles per hour per cavity (based on 500ml bottle). 1. Easy to operate by using full autoamtic human-machine interface. 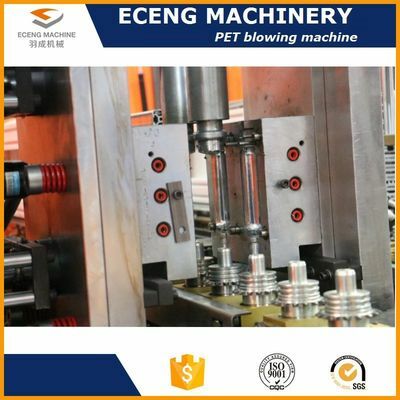 PET bottle blowing machine runs smoothly at very high speed. 3. PET bottle blowing machine adopts advanced intermittent preform loading syestem. If our plastic water/juice/beverage automatic pet bottle blow molding machine 100ml-2l 2/4/6 cavity meets your requirement, welcome to buy the quality and durable equipment for sale from our factory. We're one of the leading manufacturers in China with rich experience. We'll offer you the most competitive price and excellent after-sale service.